Thanks to everyone across the South who was part of Families Belong Together actions on June 30th. Here in Asheville, NC, more than 1,000 people gathered to speak out for an end to family separation and immediate reunification. Stay updated about actions you can take here. 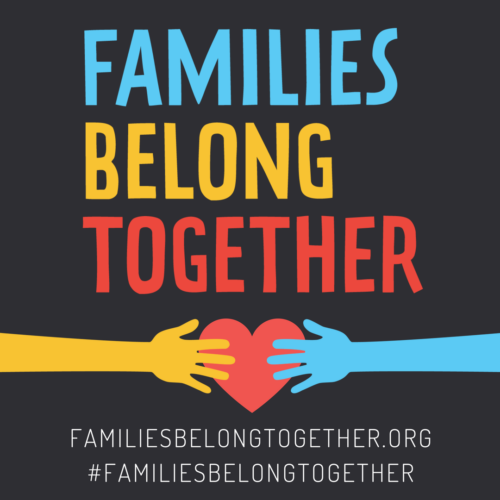 CSE is proud to be part of the Families Belong Together coalition. Immigration rights and family rights are LGBTQ issues and we’re in this fight every step of the way. We’re calling to permanently end family separation and immediately reunify those that have been separated. Children and families deserve due process, not indefinite imprisonment. Children do not belong in baby cages and internment-like camps. Family incarceration is not the solution to family separation.